The last release of the popular module and plugin of Joomla which are intended for creation of the dropping-out megamenu with amazing effects - Maximenu CK 8.2.19. Extension is delivered with a set of additional subjects of registration. From features of expansion it is possible to note support of adaptability, the dropping-out effects, several modules on one page, a possibility of horizontal and vertical arrangement, addition of the description of points, loading of modules in the menu, additional graphic subjects, optimization, control of events and support of other components. 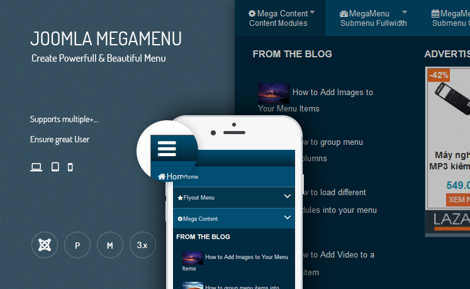 JUX Mega Menu v3.2.9 - the latest version of the fullest and simple menu adjusted the module horizontal mega in control for Joomla 3.x. expansion can display materials, modules, images, the text in menu items. 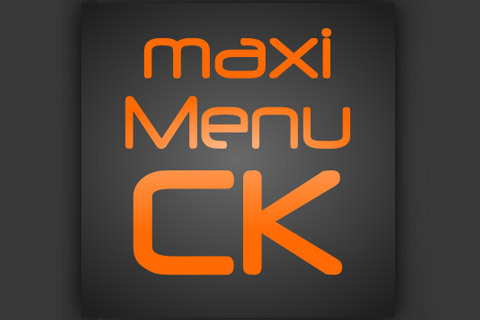 Features of the menu: sympathetic design and support of different types of content, the beautiful menu with smooth effects, the operated configuration, 10 adjusted 10 effects of animation and 6 options of color registration, support of the awesome icon fonts and a possibility of use in the form of the vertical menu.